The keys to successful treatment of Achilles tendinopathy are early diagnosis and RICE (rest, ice, compression and elevation). Physio Team-Works can help implement specific strengthening programmes and correction of predisposing factors such as muscle tightness and abnormal biomechanics. These are all required together with appropriate progression to functional activities and sport-specific rehabilitation programmes. 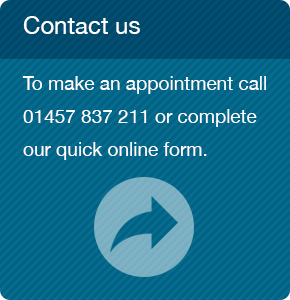 We also work in conjunction with Podiatry if corrective orthotics are required. Achilles teninopathy responds best if treatment is implemented at an early stage with the aim being to settle pain and inflammation through the use of heel raises in shoes, soft tissue massage and mobilisation of the Achilles tendon. Your physiotherapist will implement intensive self stretching programmes which are important to maintain muscle and tendon length. This is where the rear aspect of one of the bones of the ankle joint becomes pinched by the adjacent aspect of the shin bone when fully pointing the toes or during activities involving jumping and pushing off the toes such as ballet, gymnastics and football. This condition causes pain and tenderness at the back of the ankle. Treatment involves relative rest and manual mobilisation of the joints of the foot and ankle. Occasionally surgical intervention is required. Tendon attachments are cartilaginous plates that provide a relatively weak cartilaginous attachment from tendon to bone. In adolescents, during rapid growth phases, bone lengthens before muscles and tendons are able to stretch correspondingly. This can lead to traction of the Achilles tendon causing inflammation at the attachment of this tendon. Although it is believed to be the thickest and most robust tendon in the body, damage does sometimes occurs to the Achilles Tendon causing an extremely painful injury. Achilles Tendonitis is the irritation and inflammation of the Achilles tendon. Achilles tendonitis can be either acute, meaning occurring over a period of a few days, following an increase in training, or chronic which occurs over a longer period of time. Overpronationor feet which roll in when running can place an increased strain on the achilles tendon. As the foot rolls in (flattens) the lower leg also rotates inwards which places twisting stresses on the tendon. Chronic Achilles tendonitis may follow on from acute tendonitis if it goes untreated or is not allow sufficient rest. Chronic Achilles tendonitis is a difficult condition to treat, particularly in older athletes who appear to suffer more often. When placing the foot down on the floor after rising from your sleep is often very painful or getting up to stand after prolonged periods of rest is also painful. There may be redness over the skin. You can sometimes feel a creaking when you press your fingers into the tendon and move the ankle. What treatment can you have for achilles tendonitis? This is the first stage of treatment, which can last for anywhere from 3 days to several weeks, depending on the severity of your condition. Ice – apply for 15 minutes at least three times a day. Every two hours if possible for the first day. Ultrasound is a therapeutic modality that has been used by physiotherapists since the 1940s. Ultrasound is applied using a round-headed wand or probe that is put in direct contact with the patient’s skin. Ultrasound gel is used on all surfaces of the head in order to reduce friction and assist in the transmission of the ultrasonic waves. Therapeutic ultrasound is in the frequency range of about 0.8-3.0 MHz. The waves are generated by a piezoelectric effect caused by the vibration of crystals within the head of the wand/probe. The sound waves that pass through the skin cause a vibration of the local tissues. This vibration or cavitation can cause a deep heating locally though usually no sensation of heat will be felt. In situations where a heating effect is not desirable, such as a fresh injury with acute inflammation, the ultrasound can be pulsed rather than continuously transmitted. The intensity or power density of the ultrasound can be adjusted depending on the desired effect. A greater power density (measured in watt/cm2) is often used in cases where scar tissue breakdown is the goal. Laser Therapeutic laser devices that combine super pulsed laser, infrared, visible red light and magnetic field. 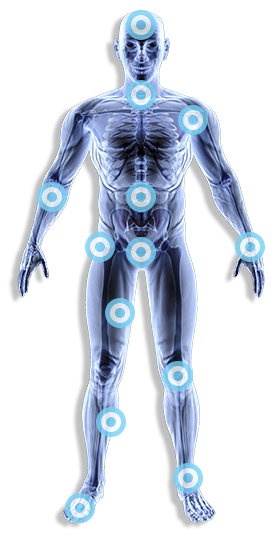 FDA 510(k)-cleared therapeutic laser devices, deliver photons to targeted areas of the body to relieve pain and swelling. These devices are clinically proven to speed healing for relief of muscle and joint pain, arthritis, muscle stiffness and increased circulation. Identify the cause of the injury. Training too much too soon, training on hard surfaces, wearing the wrong shoes or shoes that are too old and not warming up are possible reasons for the injury occurring. Also, if you overpronate the Achilles is twisted putting more strain on it. Rest – the use taping can help support the tendon. Place a heel lift of about 1cm into both your shoes to help take the stress off the tendon. Do not leave it there for ever. If the calf muscles adaptively shorten, an increased strain will be placed on the Achilles tendon in the future. Anti-inflammatory medication can be taken (under Doctors advice of course). Maintain fitness by non weight bearing exercise such as cycling if pain allows. A detailed graded program of rehabilitation can be provided tailored to your needs by our specialists. Once you can perform daily activities pain-free, move on to this stage. Concentrate on improving the flexibility of the calf muscles (gastrocmemiusand and soleus). This will reduce the strain on the Achilles tendon. Two stretches in particular are important, one with a straight leg for the Gastrocnemius muscle and one with the leg bent to target the Soleus muscle. Stretching should be done regularly, three times a day initially and should be maintained long after the injury has healed to prevent the injury returning. Use sports massage techniques. This will help prevent adhesions forming within the tendon. These adhesions stop the tendon sliding smoothly in its sheath. Sports massage should also be used on the calf muscles themselves to aid in improving the flexibility and general condition of these muscles. The aim is to strengthen the calf muscles and the Achilles tendon. It is important that you strengthen the tendon in the stretched position. There has been a lot of research into strengthening exercises during the rehabilitation of Achilles tendonitis/osis. The current concept is based around eccentric contractions. These are muscle contractions where the muscle lengthens to control a downward movement. Heel drops and raises are used in the rehabilitation of Achilles tendonitis. Particular emphasis should be placed on the downward phase as this is the eccentric contraction. It is possible that the neural control or co-ordination of the ankle has been affected, especially if the injury has been severe and required a sustained period of rest. Balancing on one leg is a good way of developing proprioception. This will help prevent spraining the ankle in future and is a good all round strengthening exercise for the ankle. Aim for 2 minutes without wobbling. To challenge the ankle even further, a wobble board can be used .Treatment for Achilles Tendonitis should be swift as the inflammation associated with Achilles Tendonitis can lead to degeneration of the tissue, increasing the chances of developing the more serious disorder of Achilles tendon rupture. This type of treatment can be tried when our methods have failed. Prolotherapy works by stimulating the body to make new fibres, which are laid down within the substance of the ligaments, thickening and strengthening them. The solution: phenol 2%, dextrose 30%, glycerol 30% is mixed with local anaesthetic, and a small amount (half a cc) is injected into each end of the ligament, close to its attachment to the bone. This initially provokes inflammation, attracting the cells that make collagen fibre to the area. Over the ensuing weeks, the fibre is incorporated into the existing ligament. Each ligament has to be stimulated 3 or 4 times (sometimes up to 6), at intervals of a week, in order to produce sound fibrous development. Hence the injections are given as a course of treatment. We can arrange this type of treatment if deemed appropriate with one of our podiatric surgeons. A sprained ankle or twisted ankle as it is sometimes known, is a common cause of ankle pain. A sprain is stretching and or tearing of ligaments (you sprain a ligament and strain a muscle). The most common is an inversion sprain (or lateral ligament sprain) where the ankle turns over so the sole of the foot faces inwards, damaging the ligaments on the outside of the ankle. Ankle sprains are the most commonly diagnosed ankle problems with thousands occurring each day. The term ‘sprained ankle’ seems to imply a rather insignificant injury, but this is not always the case. Inadequate rehabilitation can lead to prolonged symptoms, decreased sporting performance and increased risk of recurrence. The ligaments of the ankle joint are known as the lateral ligament complex and the medial (or deltoid) ligament complex. Injuries to the lateral ligament complex (through inversion injuries) are far more common than injuries to the medial ligament. This is due to the relative instability of the lateral joint and weakness of the lateral ligaments compared with the medial ligament. Occasionally in severe injuries, both medial and lateral ligaments are damaged. The amount of swelling and bruising is usually, but not always, an indication of severity. Aim to reduce the swelling by RICE (Rest, Ice, Compression, Elevation) as soon as possible. C is for Compression – This reduces bleeding and helps reduce swelling. Bandaging technique is excellent for providing support and compression to a recently injured ankle. E is for Elevation – Uses gravity to reduce bleeding and swelling by allowing fluids to flow away from the site of injury. So put your feet up and get someone else to wait on you. Following the initial painful stage, there are other treatments that can help the ankle return to normal as soon as possible. Range of motion exercises such as ankle circles can help to get the ankle moving again, as well as reducing swelling if performed with the leg elevated. The calf muscles often tighten up to protect the joint following a sprained ankle, and so gently stretching the calf muscles can also help to maintain movement at the joint. These can occur in activities requiring rapid changes in direction especially if these take place on uneven surfaces (e.g. grass fields). An ankle sprain may be accompanied by an audible snap, crack or tear, which, although often of great concern to the patient, is not directly related to the significance of the injury. The management of lateral ligament injuries, initially is to reduce pain and swelling through specific compression strapping by the therapist and regular icing and elevation. Following this, range of motion is restored as quickly as possible through ankle mobilisations, the prescription of specific exercises and then the aim is to build muscle strength, balance and to look to prescribing a progressive sport-specific exercise programme. Equipment such as wobble boards, wobble cushions and trampets can be used during rehabilitation. Osteoarthritis causes joints to become inflamed and painful. This pain often leads to secondary weakness in the muscles surrounding a joint. Inflammation, pain and weakness can be helped by physiotherapy whether they are acute or chronic stages. Osteoarthritis (OA) is the most common form of arthritis. OA is caused by general ‘wear and tear’ on joint cartilage, causing pain and joint inflammation. OA most commonly affects people who are middle-aged or older. OA can range from very mild to severe. It generally affects the hands and the large weight bearing joints such as the knees, hips, feet and the back. To have a certain degree of OA can almost be considered a normal part of ageing. A common misunderstanding is that OA is always a progressive and serious disease. Pain and inflammation can be relieved through electrotherapy and gentle mobilisation. Physio Team-Works will prescribe a personal exercise programme to help protect the inflamed joints against further damage and strengthen the appropriate muscles around them whilst maintaining range of movement. Injection therapy can be a very useful modality of treatment if conventional methods fail. We have the necessary qualifications and expertise to advise you on this method of treatment.